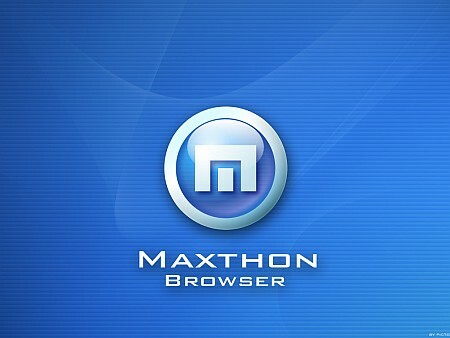 Maxthon 5.2.7.1000 Final Portable » TopFreeSoft.Net - Best Freeware Software! Maxthon is a state-of-the-art, multi-platform web browser that regularly outperforms other top browsers and offers users a seamless browsing and sharing experience. Thanks to our supporters, Maxthon is a global phenomenon: a community ? ?“ of friends, colleagues and fans ? ?“ who believe surfing the web should be fast and fun. 'Favorites' upgraded to 'Maxnote'! You can collect everything, read anywhere, record anytime. Every day when you surf the Internet and search for information and working materials, how many times have you wished to collect all the news, fancy pictures and professional blogs as yours forever? Merely collecting a link is far from enough! Especially when the link turns out to be invalid, pictures on the pages all expire with nothing but red crosses or error codes left. Maxnote seeks to solve this problem for you completely! Bookmark:Still can collect by fast archiving and mark as most favorite. Web Content: help to remove ads, distraction and useless information, and save the content that matters only. Snapshot: create clippings with editing options. Selection: drag your mouse to select and save all you want. Snap whole page : save the whole page as an image. What else could we do without network connection, such as on subway or the trains? Read anywhere: On your computer, all the records synced are at your hand for offline reading. On mobile devices, the full record content is available if you have recently viewed the record. Record and Edit anytime: Except for reading, you can also edit and write down your thoughts and sudden inspirations! You can use search records to search for the related records by key words. At the right corner of each record details-click the heart button to mark or unmark. Do you have to remember too many passwords? Do you worry about forgetting them or privacy risks? Now, Passkeeper can help you remember all passwords securely and smartly! Your passwords are synced to the Cloud and then accessed on all different platforms. Passkeeper can auto-save your login information so you can log in to your accout quick and fast next time. This function can also be used in combination with the new ?? ?Password Generator??? for you to register on various websites. ?? ?Password Generator??? helps you auto-generate random complicated passwords when you register on a website. From now on, you won? ?™t have to worry about your passwords being cracked anymore. UUMail is a shield for your real e-mail. It protects your real information from being revealed, and also helps to keep your real e-mail from spam. At the same time, it can create numerous ?? ?shadow mailboxes???. As one of the innovative products from Maxthon, UUMail has received acknowledgement and recognition from thousands of users. Think we left something out? Pick from more than 1,400 plug-ins that make Maxthon the do-all of browsers. Other companies sell remote conferencing, screen capture, electronic passports, and automatic password managers as separate programs. With Max, they're free ? ?“ just like Maxthon itself. Maxthon's so secure you can throw away that blanket. Maxthon is 100% free of viruses, spyware, adware ? ?“ any kind of malware. The built-in Ad Hunter blocks harmful, or just irritating ads, images and pages. Filter packs screen out offensive and irritating Web pages, and you decide what's offensive and irritating.